"Let me not seem to have lived in vain"
Galileo had drawn a line of sorts, and seemed more than willing, in the end, to take a stance to defend it. And defend it he should for his discoveries, controversies aside, were absolute, many incontrovertible fact. But it was a very light line, erased more than once and redrawn, to be crossed almost capriciously, especially during the years 1619-1633 when confonting the church. 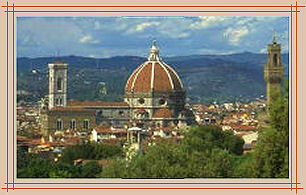 This is evidenced in many texts of the period and even in Galileo's own writings. Be that it as it may, this is certainly no distraction from his great achievements; during this era many famous personages were not always as they had spoken or wished themselves to be, fluctuating in and out of the ideas, beliefs and enforcement of canon or church laws; cartering to their own desires, ideals or to the powers that be, whether they truly believed in their benefactors ideas or not. We are always in the age-long, paradoxical battle of writing objective histories, hoping that the subjective does not creep into the things written, and in all fairness, many have accomplished this successfully to one degree or another. But I was surprised to find that, after reading mountains of historical works, the line between Galileo and the Church is still very much present, even four hundred plus years after the fact. No matter; in presenting the historically viewed character of Galileo, I shall endeavour to write what is factually known, the written "words" as set to paper by the Church, Galileo, his contemporaries and modern writers from all disciplines in order to see if we cannot find the very character of the great man himself. 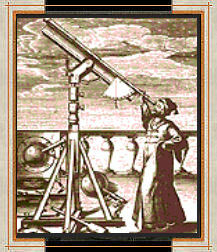 Thereafter, Galileo set out and built a telescope, not the first, but certainly one of "his" own invention. Taking these two historical writings, one can easily place either out of historical context and thereby, out of historical fact, showing that either Galileo was indeed attemptng to "outshine everyone" or, on the other hand, felt it an injustice at not having been given his rightful cudo's for his own invention's creativity and obvious success, perhaps. With hardly any difficulty, as to whether Galileo is claiming the telescope invention all to himself, lock, stock and barrel or rather, claiming the one he invented, the evidence can be taken to support either view. 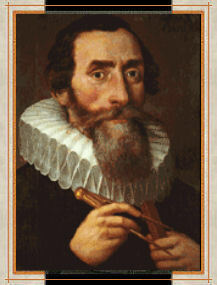 What is undeniable is the fact that he did create or invent a telescope of his own and then recorded some remarkable sights and observations, all of which were evidenced and set down in writing by his hand as well as others; the Dutch mathematician-astronomer Christian Huygens discovered a satellite of Saturn and clarified Galileo's earlier observation of the peculiar configuration of that planet by announcing the presence of its surrounding ring. It has also been said that Galileo's telescope was so small and clumsy it would have been hard to see Jupiter itself, let alone its moons (his telescopes never reached a magnification power higher than x33). Yet again, it is a fact that Galileo himself wrote of his discovery of the four major moons of Jupiter in The Sideral Messenger in April 1610. 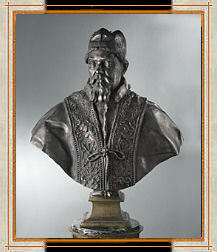 In fact, the news of this soon reached Kepler in Germany, who was an instant and enthusiastic supporter of Galileo's findings (unlike many others, especially since several people who had tried to verify Galileo's findings had been unable to see the new moons). 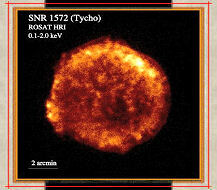 So, did Galileo really see what he claimed? Did someone else see the moons before he? Could his telescope have really been powerful enough to view them in the first place? Put into context, the issue of Galileo's sight is central to these questions and another pro or con item for the writer, seeking to set the record stright, to watch and see what may pass. For us, there is more and most of that will come from Galileo himself, in his own words, from his own writings between 1600-1612. However, before we delve further, let us now look at "the other side of the coin" and to the major institution central to this writing - the Church. Historically, much had happenend by the year 1610 and a good deal of that had seen the involvement of the ever present eye of moral and, in many respects, legal authority - the Church. By the 16th century, indeed, earlier than this, the church felt it's power slowly draining away. The idea of crusading was, by the 14th century, an antiquated and all but dead papal idea as nations began to look inward. Earlier in the 16th century, a rising voice throughout Christendom felt very strongly that the Catholic Church had become corrupt. Yet, what really began the spectacular, and symbolical challenge to church authority occured in October of 1517, when Martin Luther, a German theolgian fed up with the wealth and corruption of the papacy tacked his 95 theses on the door of the All Saints Church in Wittenberg. This was an act of defiance that alone sent a shudder throughout Christendom and would eventually lead to a split in the church, the birth of the Protestant church and to a lengthy and devastating war. 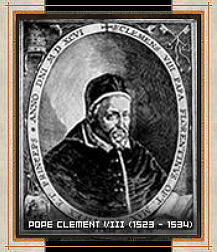 Meanwhile, Pope Clement VIII was forced to the reconciliation with Henry IV of France, despite the Edict of Nantes (1598) which had recognized the right of French Protestants, due to Spains perceived attempts at controlling the Pope. And later, when James I became King of England and Scotland, he effectively repressed the efforts of Catholics and Puritans to reform the Church of England, the results of which made the throne of England more powerful than the Pope. Lastly, the age of colonialism had dawned yet it did not require, as the crusades had, any help from the Pope in order to spread throughout the world or enjoy success. By the late 17th and early 18th centuries the church truly found itself in chains, no longer the power house it has once been or aspired to. What was at the heart of the dispute between the Church and Galileo, the battle that esstential came down to a conflict between reason and dogma, science and faith? 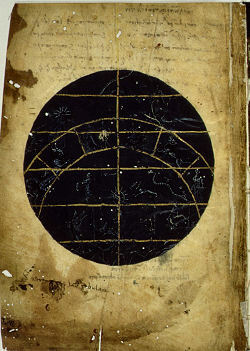 The contest between the two divergent theories began with the publication in 1543 by the Polish scientist Nicolaus Copernicus of his theory regarding a heliocentric solar system. However, the contest remained on theoretic and theological grounds until Galileo made the first observations of the four largest moons of Jupiter, their very discovery dicounting the Ptolemaic notion that all heavenly bodies must orbit the Earth. First, that his findings "drew no definitive conclusions" and secondly that his work "acknowledged divine omnipotence". Here was the line, clearly shown to him by Pope and friend, however, Galileo would succeed outstandingly, in the first instance, of doing just the opposite and the church would, in it's turn, succeed greatly into forcing Galileo to do the second. Over the next sixteen years, stubborn arrogance would first abrasively clash, then finally threaten the dogmatic doctrines of both the powers that be--and those powers were in no mood to see any further erosion of their empire--and his own supporters. In the end, both would stand for the "right" of their cause yet seemingly for the wrong reasons. Galileo, Kepler and the Church: Sixteen Years to Indictment - Closing in on the man Galileo. By Robert A. Sungenis, M.A., Ph.D. (cd) at Catholic Apologetics International website. The trial of Giordano Bruno by the Roman Inquisition. Galileo held the chair of mathematics at the University of Padua at the beginning of the 17th century. It was during that tenure that he did much of the work on his theories of motion. 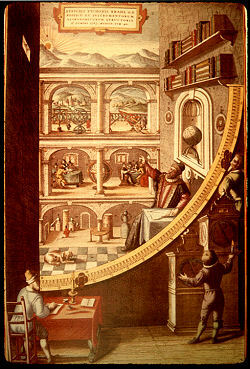 It was also while there that Galileo refined the telescope and first directed it to the heavens. 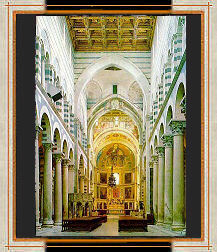 This is a view of the cathedral in Pisa. 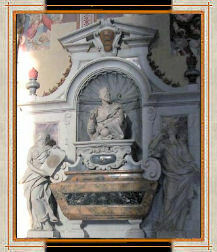 It was here that Galileo first noticed the motion of the swinging lamp which hung from the ceiling of the church. No matter the size of the swing, the amount of time it took to complete was always the same. 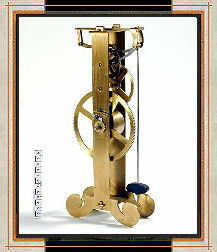 This observation led Galileo to apply the same principle to the construction of an astronomical clock some fifty years later. 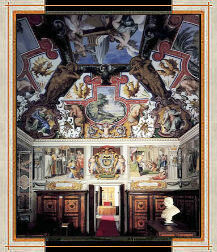 Thanks to Medici's influence, Galileo served his life-imprisonment sentence in his own house in Florence. He continued his scientific research there. When he was 74 years old, Galileo wrote a book about the time dependence of motion which led to the concept of constant acceleration. Galileo died in 1643 when he was 78 years old. 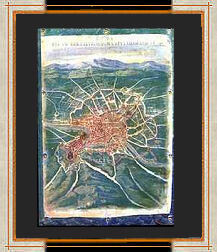 edited by Theon of Alexandria in the fourth century A.D.
1) From Stadt Regensburg - Impressum und Datenschutzerkl�rung website. 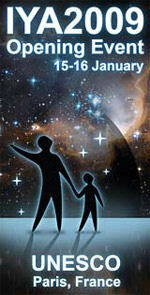 Museum in Germany with links to several Kepler web sites. Nicley done front page. 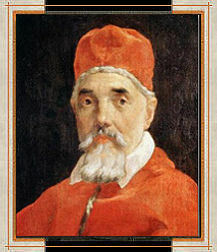 4) From Wikipedia the "Galileo affair". [ 2 ]	Sungenis, Robert A., M.A., Ph.D. (cd) "The Personal Lives and Philosophies of Copernicus, Kepler, Galileo, Newton and Einstein"
[ 8 ]	Hexham and Newcastle, Catholic Diocese of, "THE CHURCH IN CRISIS: A History of the General Councils: 325-1870. CHAPTER 19. The General Council of Trent, 545-63"